Catfish has a long body with rounded front, compressed laterally, and with a rear-naked with a large number of mucous glands and soft skin. Large fish head compressed, the eyes are small and close to the occipital part. The catfish has a big mouth. 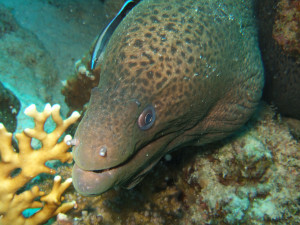 the lower jaw exceeds the upper in length and slightly curled up. On the jaws there is a huge amount metkovich teeth. Is a pair of long whiskers on the upper lip, two pairs of short – on the chin. Body colour black catfish on your back turns into dirty white on the belly. 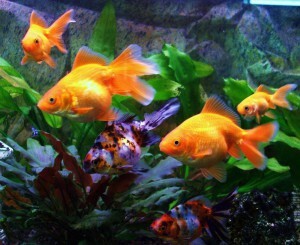 There is a small feature, the slower the flow in the habitat of the fish, the darker its color. 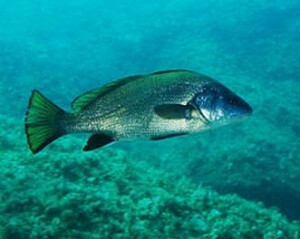 Another characteristic feature of the soma can be called the dorsal fin. 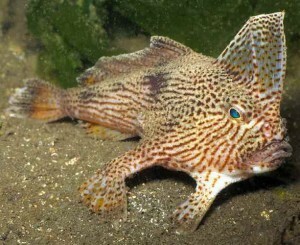 It is very short and rather strongly shifted to the head. 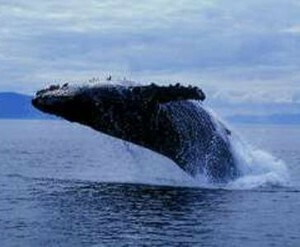 In most reservoirs the size of the fish up to five feet in length with a weight up to fifty pounds. The soma area in Russia serve as basins of the Neva (Ladoga, Ilmenite and lake Onega), Kuban, Dnieper, Terek, don, Ural and Volga. This fish cannot be found in Levitanovskoy the pool and in the upper reaches of the rivers. Catfish lead a sedentary life, most of his life conducting in cluttered and, accordingly, quiet rivers. Most often they hunt alone, grasping in korotkobazny his victim who dared to sail so close to the predator. Freshwater reservoirs offer for adults to eat catfish cyprinids, goby, okuneye fish species and juveniles of sturgeon, less generous feast of sea water, where soma to treat yourself can only mackerel species. Very rare cases, when these fish attacked waterfowl, and even fell by accident into the water mammals, but they have been fixed. 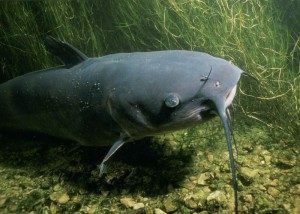 Catfish spawns in the South (the Volga, the Dnieper) from early spring to June in the Northern territories from may to August. The fecundity of females ranges up to 900 thousand eggs. Their number depends on the age and size of females. Males guard the eggs attached to the walls of the nest or to the bottom. 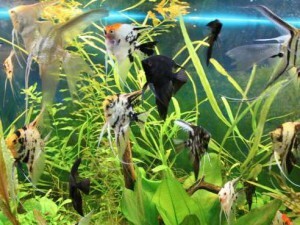 Its development is very fast and within ten days the larvae are small catfish out of the nest and start self-feeding.